As far apart as India and Pakistan are on key issues, it would be dangerous to progressively close all avenues of dialogue. ISLAMABAD: It was a dream job for Constantinos Apostolou (C.A.) Doxiadis. The father of modern town planning was given a blank slate from which to design the new capital of Pakistan. Before that, the Greek architect had been greatly frustrated by his earlier commissions to re-jig established settlements. Often it was impossible to persuade long-settled folks to move, to build a new business complex, for instance. But when Pakistan decided in late 1950s to shift its capital from Karachi, to a completely new location, and C.A., as he was affectionately known, got the commission, the engineer from Athens could hardly believe his luck. Flanked on the north by the majestic Margalla Hills National Park, the breathing lung of the new capital, Islamabad is an outlier in Pakistan in many ways. Every inch of it carefully designed, into eight distinct enclaves, the city can feel like it has been transported wholesale from some first-world country. The lofty flyovers, the glittering high-rises, the greenery, good security—Islamabad is a heaven away from the chaos that engulfs the rest of Pakistan. True, appearance can deceive. But is it a fault of those who run Pakistan when an obscure religious party blocks the chief conduit between the country’s main international airport and the capital city? They are demanding stronger blasphemy laws—of course—forcing a journalist into making a dusty three-hour detour instead of a 15-minute cruise he was expecting. Minus the blockade, Islamabad would have been the perfect venue for the 19th SAARC Summit, initially scheduled for November 2016. It wasn’t meant to be. India, citing recent ‘Pak-sponsored’ terrorist attacks on its soil, boycotted the biennial summit. Subsequently, Afghanistan, Bangladesh and Bhutan also announced their absence at India’s urging. In doing so India thought it was successful in demonstrating to the rest of the world that even its neighbors don’t trust Pakistan. Pakistan, meanwhile, made much of the fact that India was not able to arm-twist Nepal, Sri Lanka and the Maldives into supporting its boycott. This Indo-Pak sniping fits an old pattern. 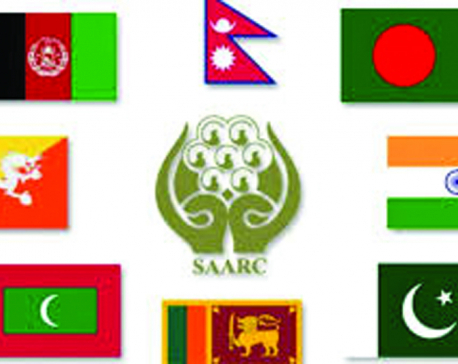 Since its inception in 1985, SAARC has been unable to find a way around a fundamental contradiction in its makeup: its mandate bars member states from raising bilateral issues at this eight-country forum, but then it is precisely one bilateral relation, between India and Pakistan, that has made any progress on regional cooperation impossible, turning SAARC into no more than another ‘talk shop’. Even if the 19th SAARC summit had gone ahead without a hitch, it would have delivered little. This was one reason the annual summit was ‘downgraded’ to a biennial event. But that was not the only reason. Another was that if the eight countries talked less often, the thinking went, the eventual discussions would be more substantive. As far apart as India and Pakistan are on key SAARC-related issues, it would be dangerous to progressively close all avenues of dialogue between the two countries. SAARC offered them one of the few forums (the other being the Shanghai Cooperation Organization) to discreetly discuss bilateral issues and to weigh in on pressing regional ones. During the 18th SAARC Summit in Kathmandu Indian Prime Minister Narendra Modi and his Pakistani counterpart Nawaz Sharif could do no more than shake hands and exchange smiles in public. But as journalist Barkha Dutt disclosed in her 2015 book This Unquiet Land—Stories from India’s Fault Lines, the two did in fact meet secretly in Kathmandu to informally discuss bilateral issues. But by unilaterally severing dialogue with Pakistan for the past two years, and even refusing to attend a scheduled multilateral summit, India, whether Modi and co realize it or not, appears like a callous regional hegemon. In any case India under Modi has good relations with none of its neighbors. Besides the new low with Pakistan, in Nepal, too, bilateral ties have hit rock bottom following the 2015-16 border blockade. In the Maldives, where I was recent, there was among common people a marked goodwill towards China and many suspicions towards India. In Sri Lanka, the Sirisena government, after initially warming up to Modi, has enhanced defense cooperation with China, partly in fear of an aggressive India. In Bangladesh, China, on the strength of its checkbook, was able to persuade Prime Minister Sheikh Hasina to sign up for BRI, much to India’s chagrin. Bhutan is wary of India after the Doklam border standoff, as India was seen intruding into what was a purely bilateral issue between Bhutan and China. Modi’s foreign policy playbook is clearly missing some crucial pages. Indo-Pakistan bilateral relations are so low that even the intellectual communities of the two countries are not talking. In this regional conference on SAARC security, I attended recently in Islamabad, there was no representation from India, even though it is meaningless to talk of regional security in South Asia without India. Before that, around six months ago, I was at Pondicherry University and its Center for South Asian Studies, whose express purpose is to promote “peace and cooperation among SAARC countries”. The center was envisioned as a mini-South Asia, bringing together students and academics from all eight SAARC states. But, curiously, the center stopped taking in Pakistani students following the 2015 Uri terror attacks. Why? Even if they were admitted, the central government in New Delhi wouldn’t give them visas. Nepal, as the current head of SAARC, must take the initiative to get India and Pakistan talking again—the rationale for regional cooperation has never been stronger. There will always be differences between India and Pakistan. But countries in the region have no option but to cooperate on growing transnational concerns like climate change, cross-border inundation, China’s damming of upstream rivers, refugees, terrorism and crimes. Trade is another important area where greater regional cooperation would be immensely beneficial to all eight countries. It is astounding that 17 years after the creation of the South Asian Free Trade Area, right here in Islamabad, intra-region trade remains a minuscule 5 percent of the region’s total trade, making the region the least integrated into the world. In Nepal’s case, as of June 2017, 99.17 percent of its total imports came from India, while 97.39 percent of its exports went to the same country. Economically, the rest of South Asia is as good as non-existent for Nepal. But every other country in the region is losing out, too. Again, isolating Pakistan is no solution. This strategy is not working in any case. Whatever they may say to the Indians, the Americans are not going to stop supporting Pakistan, with both money and military hardware. Nor is China abandoning its all-weather friend. 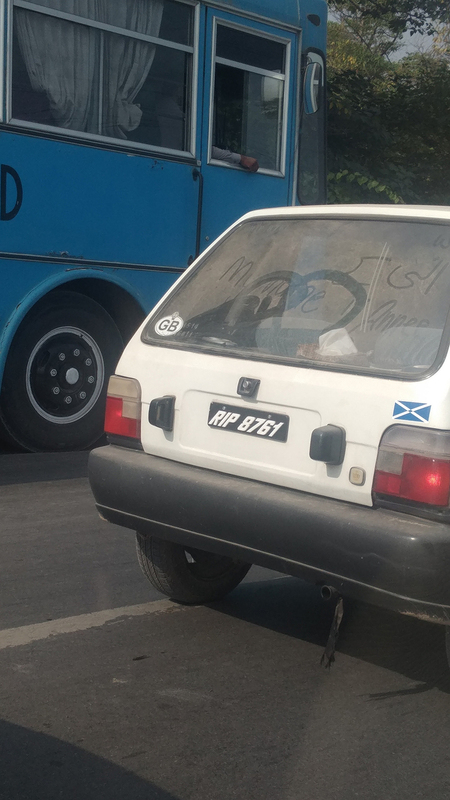 Even Russia, India’s traditionally ally, is cozying up to Pakistan these days. Other SAARC countries are also sympathetic to what they see as Pakistan’s forced isolation. It is true that Pakistan, and especially its army, needs to do more to rein in terrorism. The endless India-bashing one gets to hear in Pakistan is also overdone. (One Pakistani intellectual at the conference labeled India ‘the chief sponsor of terrorism in the world’.) Isolation only sharpens the divide. Perhaps lifting of mutual embargos on exchange of intellectuals would be a good start towards rapprochement. So would a revision of India’s ‘no talk’ policy.